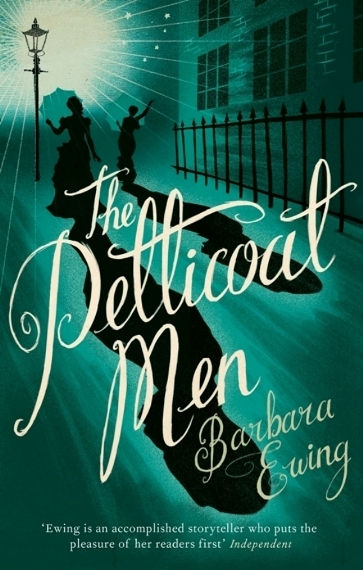 The Petticoat Men is a good historical novel which plunges you into the febrile atmosphere surrounding a scandalous trial in 1870s London. It tells the story of the arrest and trial of Ernest Boulton and Frederick Parks – or Stella and Fanny as they are known when decked out in their finery. The story is told from different perspectives – the main one being that of the family who owns the boarding house where the boys used to store their gowns and doll up. Young Mattie is part owner of the house with her mother Isabella and her brother Billy. Both the family and the house fall into disrepute by association, which is the main point of the book; that the tragedy is not only in the lack of tolerance for alternative lifestyles, but also in the collateral damage inflicted when society decides to ‘take action.’ The novel reads at times like a work of nonsense literature, with the England depicted being bizarre and grotesque. But there are also themes of the value of education and the influence and generosity the ‘demimonde’. The pace meanders occasionally but mostly stays on track and it is a fascinating read, but also very sad when the fates of some of the victims of hypocrisy are revealed.